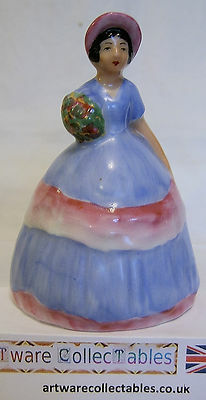 This figurine is designed as a Table Bell, with the lady having a blue dress with varigated pink hoops and a pink bonnet. She carries either a posie or a basket of multicoloured flowers in one hand. 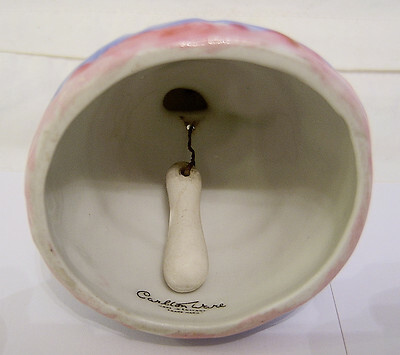 It stands just under 4 inches (10 cms) tall and is in excellent condition , as is the clanger and attachment for the bell. It is backstamped on the inside of the dress.